As expected, August was a pretty free month for JRPGs. I didn’t pick up any new releases, although I did manage to find the time to try newer experiences in demo form and left each one feeling fairly positive. I also kept true on my promise of playing Persona 2, found a new IP I’m super excited to learn more about and rearranged my gaming time a little to help me enjoy JRPGs even more and as much as possible going forward. While August wasn’t full of releases, I had no shortage of things to play in my JRPG time, so here are all the JRPGs I played in August. I walked into Zanki Zero knowing nothing more than that it was done by the team who made one of my favourite games Danganronpa, so when I found myself infatuated with its story and its incredibly unique mechanics, I was pretty surprised. Since I had no background on what the story would become, I slowly found myself in Zanki Zero’s story of clones, constant death and rebirth and the stories of its sinful characters that continued to fascinate me throughout its generous eight hour demo. What surprised me and interested me most was the way the team has turned death, which there was a lot of in Danganronpa, into something bordering on positive and with this interesting take on a theme from this teams other series and the rest of its unique premise and the way it explores its characters left as the game I was most excited about during the month. 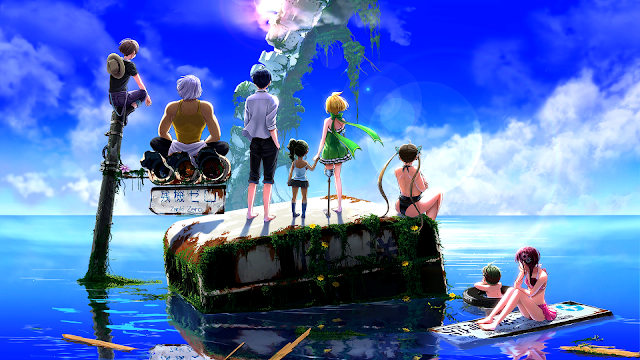 I was actually so excited about Zanki Zero that I couldn’t wait to write about it for a video about it which will be coming sometime soon, but it felt good to write about this game because I’m so excited to see what will happen in its interesting world. So while it’s not coming out until next year and it doesn’t have a demo in English yet, this unique story is something its demo made me feel most excited about and I can’t wait to talk more about it soon. I was lucky enough to finish Octopath Traveler right around the Valkyria Chronicles 4 demo released and since I haven’t tried a Valkyria Chronicles game at all yet, it was good to try the few hours of this one. With its more active take on tactical combat, I was very impressed with its battle system and how it blended the two styles. I always thought this kind of blend would end up feeling easy like active combat sometimes can, but I found myself making more strategic decisions instead like trying to avoid things like sudden cannon shots or making a wrong move and really liked it how the activeness kind of became what needed strategy. 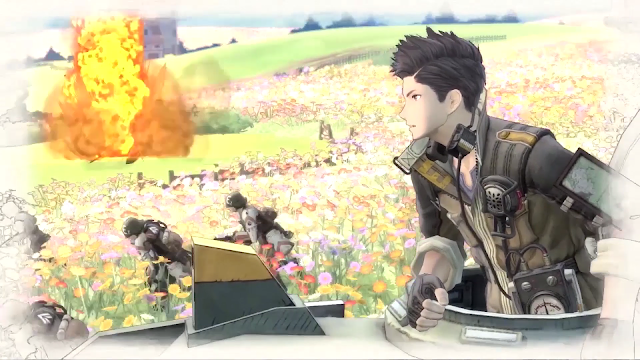 I don’t know if I’ll play Valkyria Chronicles 4 right away when it comes out because next month is a busy month, but I hope that it’s as good as its demo made it look, because with its story and its gameplay so far, it looks like a really good game. Since I loved Yakuza 6 so much that it made me want to go back and play the other games in the series in order, I decided that despite wanting to start from Yakuza 0, I’d at least allow myself to play Kiwami 2’s demo. I’m glad I did, as seeing another world with the fun mini-games and atmosphere that I liked from 6 was a good motivator to go more into the series. On top of that, the demo’s story portion managed to show one of the villains in the story in a way that made the story look exciting but also didn’t spoil too much of its previous games or the rest of Yakuza Kiwami 2, which I really appreciated since I haven’t gone back to the other games in its series yet. 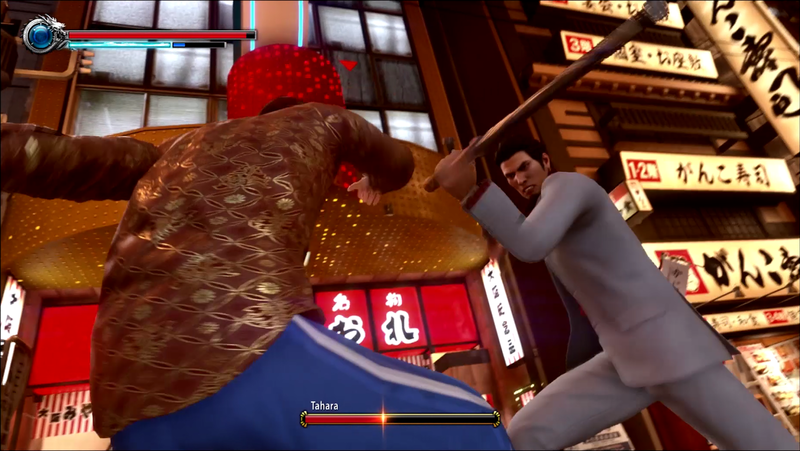 I hope people had fun with the full game in August and while I probably won’t be playing it until after I play Yakuza 0 and Kiwami, it did its job of making me even more interested in the Yakuza series. 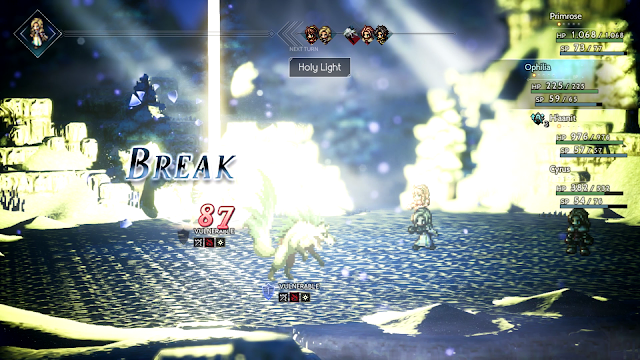 With the extra time I gave myself with Octopath Traveler in August, I managed to beat the endings of all the characters in my party and then the remaining four, which was a challenging but very rewarding experience. I had fun fighting their final bosses and while a few definitely took me more than one try, I also enjoyed checking out dungeons hidden around the map as well to help me out and I’m pretty sure there are even more I can still find post-game. I really enjoyed Octopath Traveler and definitely thinks it adds something unique to the JRPG library on Nintendo Switch and while I haven’t picked it up since I finished it and made my review, I really would love to go back and fight its secret boss and collect its extra classes sometime and with so much to do, it really captures the spirit of old-school and modern JRPGs in its own way. With interesting art and promise of strategy gameplay, Record of Grancrest War was a tactical JRPG I was curious about mostly because of its art style. Unfortunately, I wasn’t able to find out too much about its story due to its more difficult Japanese, but I was able to sample some of its tactical gameplay which did look interesting. Instead of dragging individual characters across the field, it was dragging an individual and a group to then fight together and while I never totally got the hang of it (because again - language barrier) it did look like a potentially deep tactical system that I’d like to know more about. I think since I couldn’t understand its finer details, I wasn’t really able to get properly excited for it, but it does sound kinda interesting after researching the game a little. It was originally a light novel and tabletop gaming series, along with an anime and while I’ve never seen or tried those, a JRPG-inspired by a tabletop game isn’t something you see all the time. I don’t know if Record of Grancrest will get localised, but if it does, I’d be interested in learning a little more about it. I said last month I wanted to put a few days to a week into Persona 2 in August and while I definitely didn’t put a whole week into Persona 2, I did put a bit of time into it and feel better for it. 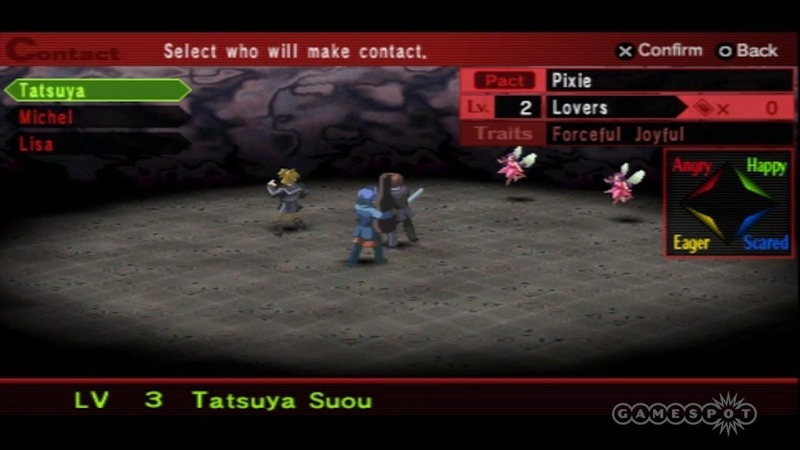 I actually spent a lot of August making content for this month that will be coming soon and reorganising my JRPG time to help me enjoy the extra JRPGs I play like Persona 2. I’d been doing this thing where I forced myself not to play games that weren’t JRPGs for awhile because I wanted to keep up with everything coming out and while this meant I was able to play a lot between reviews, it did affect my enjoyment of certain titles like Persona 2 because I felt a little like I was forcing myself to play at times. In August since I had some time off my day job, I tried not to do that anymore and still of my own volition played extra titles like Zanki Zero and the English demos I played. I also found myself picking up Persona 2 by choice and not because I’d set that August goal for myself and my time with it in August is the most enjoyable time I’ve had with it for awhile, not to say I wasn’t enjoying it other months but August felt a lot better. I found myself remembering the reasons I picked it up and appreciating little parts of it such as going to a Chiropractor to get healed and raising and summoning new Personas with all the tarot cards I’ve had just sitting in my inventory because I wasn’t spending enough time with the game to remember I had them. I did also make progress in it too - I got out of the dungeon I was stuck in into a new part of the game I can’t show because of spoilers, but I think thanks to making my gaming time more free I’m able to both play and enjoy Persona 2 more and I hope this mindset helps take me to the end of the game. Even with Code Vein delayed and out of the way, September is still a big month for JRPGs and video games in general. The big ones I’m most interested in are Dragon Quest XI, Valkyria Chronicles 4 and the Xenoblade Chronicles 2 Torna DLC, all of which I’m hyped for, but I know completing them all, even if I really try, might be a bit of a stretch for one month. The one I’m most hyped for is Dragon Quest XI and it’s something I plan to pick up day one. 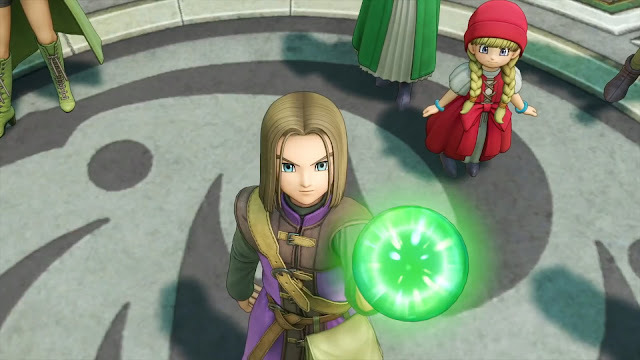 Ever since E3 this year, I started to get curious about it and the series as a whole since I’ve never tried it, so I’m excited to make Dragon Quest XI my first look into the Dragon Quest series and while I’ve been avoiding reviews about it, the positive reception I have seen about it gives me a feeling it’s going to be a lot of fun. As for Xenoblade Chronicles 2’s DLC and Valkyria Chronicles 4, I will probably end up settling on the Torna DLC at this rate. I think the price isn’t too bad for how much game will likely be in it and I haven’t touched Xenoblade Chronicles 2 for a good few months now since I’ve been busy playing other things, so I wouldn’t mind getting back into its world full of many things to do again. I do also really like the look of Valkyria Chronicles 4, but I have the first game of the series sitting in my backlog and was hoping to play that after Persona 2. I may pick it up sometime because it looks good and I really enjoyed its demo, it just might not be this month. With a jam-packed month of JRPGs and video games, I’m excited to see which games shine most and am looking forward to playing some new JRPG experiences that look really good in what looks like a fun September of playing games. What did you play in August? 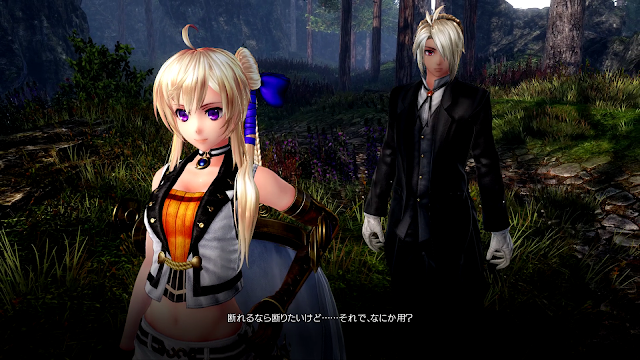 What are your JRPG plans for September?